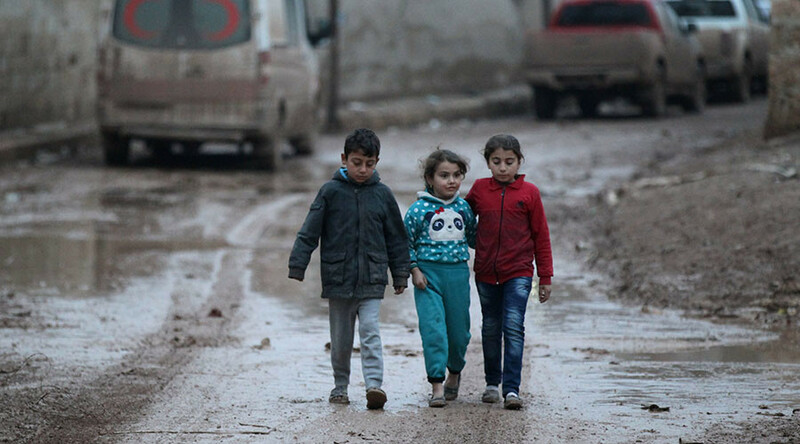 Many Syrian children who have seen nothing but bloody conflict have been forced to earning a living. RT’s correspondent Maria Finoshina saw the plight of kids scarred and orphaned by the war who refuse to leave their country and become refugees. RT’s Maria Finoshina, who has been covering the war in Syria since the conflict erupted in 2011, recently returned from her tenth visit to the country. “Kids are kids, even in Syria. After years of devastating war, with all the suffering, they remain curious, vivid, energetic. It was really refreshing to be able to hear their innocent voices,” Finoshina says. RT caught up with Mohammed, 13, from Aleppo. He cannot read or write, and has spent only three days of his life at school. “He works eleven hours a day in a metal work shop, then goes home where he has a younger brother and sister to take care of. For six days of exhausting work he earns 2,000 Syrian pounds - $16 per month. We pay more for coffee. And yet, this is the everyday life and reality for many Syrian children,” Finoshina said.